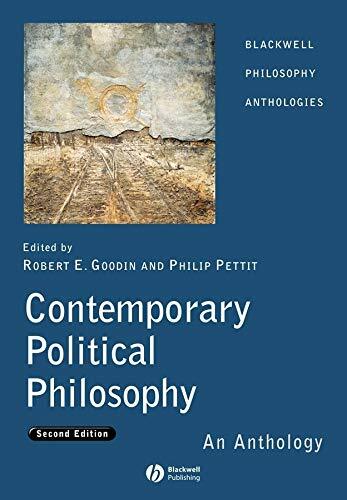 Robert E. Goodin is Distinguished Professor of Philosophy and of Social and Political Theory in the Research School of Social Sciences at Australian National University. He was the Founding Editor of Blackwell's Journal of Political Philosophy and General Editor of the ten-volume series of Oxford Handbooks of Political Science, in which he himself co-edits volumes on Public Policy (with Michael Moran and Martin Rein) and Contextual Political Analysis (with Charles Tilly). His recent own books include Reflective Democracy (2003) and What's Wrong with Terrorism? (2006). Philip Pettit is L.S.Rockefeller University Professor of Politics and Human Values at Princeton University. His recent publications include The Economy of Esteem, (2004, co-authored with Geoffrey Brennan), Rules, Reasons and Norms (2002), A Theory of Freedom (2001), Republicanism (1997), and Three Methods of Ethics (Blackwell 1997, co-authored with Marcia Baron and Michael Slote). 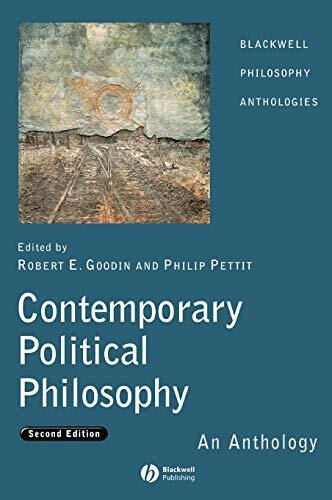 Together, Robert E. Goodin and Philip Pettit are also the joint editors of A Companion to Contemporary Political Philosophy (Blackwell 1993; second edition in preparation).